The City of Groningen has excellent connections to all main airports and railway stations in the Netherlands. It is located in the northeast of the Netherlands, approximately 200 km from Amsterdam and 250 km from Bremen in Germany. There are several ways to get to Groningen: you can rent a car, by taxi, take a train or bus. You will probably arrive in the Netherlands at Schiphol, Amsterdam International Airport. The easiest way to travel to Groningen is to take the train. The underground train station is located near Schiphol Plaza, within several minutes walking distance from the luggage claim. The Dutch railway system is run by Nederlandse Spoorwegen and known as NS. You will recognize it by its yellow and blue colours. Look out for the yellow illuminated signs that direct you ‘To the trains’. Don’t forget to buy a train ticket (one way Schiphol – Groningen costs 26 euro full fare). Do not buy a return ticket (valid on same day only). For detailed instructions about buying and using your ticket, see the section By train > Tickets below.There is a direct hourly train service to Groningen from SchipholAirport. Additional connections every hour involve just one change of trains. Make sure that you board one of the carriages marked with the destination Groningen (the other part of the train travels to Leeuwarden). The journey from Amsterdam or Schiphol Airport to Groningen takes a little over 2 hours. A national railway timetable is available on the Internet here. Another way to arrive in the Netherlands is via Bremen Airport. The cheapest and easiest way to travel from Bremen to Groningen is to take the public express buss. This will take you from Bremen airport to Groningen in about 2,5 hours and costs 9 to 23 euro (one way), depending on the time you travel. You can book your ticket online or buy one directly from the driver. The buses run about 8 times a day, from 6.30h to 23.30h.You can also take a train from Bremen Central Station to Groningen Central Station, which takes about 2 hours and 30 minutes. Bremen Central Station can easily be reached by tram from City Airport Bremen. The train schedules for the international train can be found at www.nshispeed.nl/en or www.bahn.com. It might be advisable to purchase a ticket from Bremen to Leer and then a ticket from Leer to Groningen in order to save money. Did you know RyanAir flies to Bremen? This is often cheaper than flying to Schiphol! The nearness of the airport, its excellent accessibility, the favourable departure times and the short check-in times make Groningen Airport Eelde an attractive airport to the entire north. This is why an increasing number of holiday makers and business travellers prefer Groningen Airport Eelde over the busy Amsterdam Airport Schiphol. Flights are offered to several destinations in Southern Europe and the UK, usually on specific days of the week. Eindhoven airport is located in the southern part of the Netherlands and houses low-cost providers such as Ryanair. From the airport, you can take a bus (number 401) to Eindhoven Central Station which runs every 10 minutes. From there you can take a train to Groningen Central Station which takes about 3 hours. The train schedules can be found on the internet at www.ns.nl (Click on ‘English’). Groningen is connected via the fast Intercity railway network, with a high frequency of trains between Groningen and Amsterdam, Rotterdam, Utrecht and The Hague. International trains from Germany, France or Belgium travel to the Netherlands daily. If you travel by international train you can transfer to a direct train to Groningen in Rotterdam or Utrecht. The direct train to Groningen from Rotterdam departs throughout the day at 5 minutes past the hour. The one from Utrecht departs at 50 minutes past the hour. The train schedules can be found on the internet at www.ns.nl (Click on ‘English’). It is important that you purchase a train ticket to Groningen before you board the train. 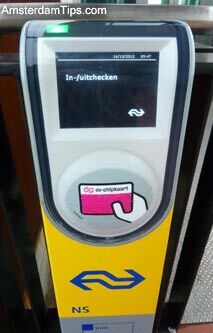 It is also necessary to check in with NS (Dutch Rail). At the departure station, hold your ticket up against the NS card reader in one of the gates or free-standing posts. Upon arrival in Groningen check out again. And the same for the return journey. Passengers travelling without a valid ticket or who have not checked in will be fined. There are two ways of purchasing a ticket: at the ticket office where you can purchase a ticket from a railway officer in person, and at the yellow and blue ticket-vending machines that you will find in the luggage claim hall and by every entrance to the train terminal. The ticket machines are easy to operate, it takes just a few short steps to purchase your ticket. It is useful to know that there are two different types of ticket machines. To buy an individual ticket, you need to go to an ticket machine with the blue sign and NS logo across the top. These machines can be found at all NS stations. You can pay at an NS ticket machine with a foreign bank card that has the Maestro logo, a V PAY card or a Dutch bank card. You can pay with cash at some ticket machines. 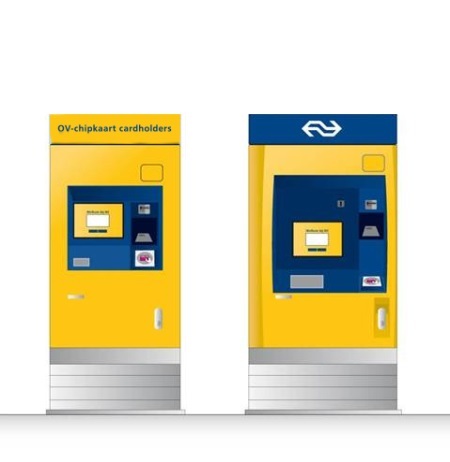 You can also pay by credit card (VISA or MasterCard) at the following stations: Amsterdam Centraal, Schiphol, Amsterdam Duivendrecht, Amsterdam Bijlmer Arena, Amsterdam Sloterdijk, Amsterdam Zuid, Rotterdam, Den Haag, Utrecht, Eindhoven, Arnhem, Maastricht, Groningen, Hengelo, Roosendaal. Via the A7 or A1/A6 highways, Groningen is easy to reach from anywhere in the country, only just over 1.5 hours from Amsterdam. Once in the city, parking is no problem and the many P+R City Bus sites on the outskirts of the city offer parking inclusive of free public transport to the city and back. The train station is within walking distance from the city centre (venue of conference). Detailed instructions are available on the university website. To get to your hotel from the station, you may prefer to take a taxi. You can find taxis at the front of the Groningen railway station. Within the city of Groningen several bus lines connect the outer districts with the city center and the railway station. On Thursday, Friday and Saturday, delegates can use buses in the city of Groningen for free. Simply show your name badge to the driver. You can use this Journeyplanner for all Dutch public transport. The best way to travel in and around Groningen is the way the Dutch do: on bicycle. A vast network of bike lanes extends through the entire city and to many villages around. Some years ago, it was estimated that after Beijing, Groningen has the greatest density of bicycles per person in the world. Most people have at least one, and many people even have two (one for the city, one for sports). The downside is that many bicycles ‘acquire’ a new owner without the consent of the first owner. Always keep it locked, and store it if possible.